Like it or not, this is the age of declining government budgets. Expenditures for everything from laptops to land acquisition will be flat or even negative for quite some time. 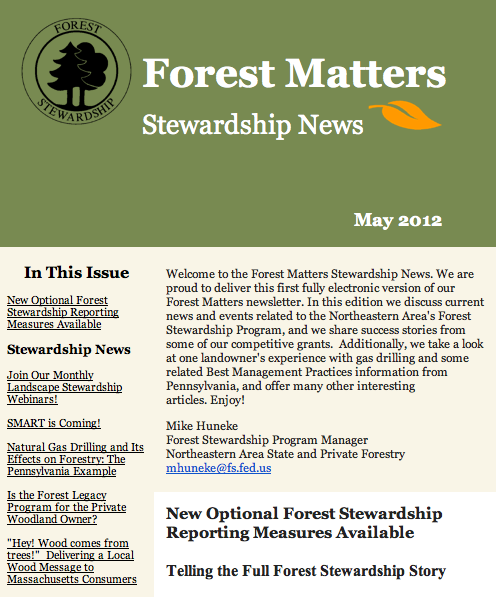 What’s a Forest Stewardship Program [http://na.fs.fed.us/stewardship/] to do? As the head of an internet website organization that has specialized in linking people with conservation information for the past 10 years, this kind of message makes me happy. landowner buy-in will not be complete. 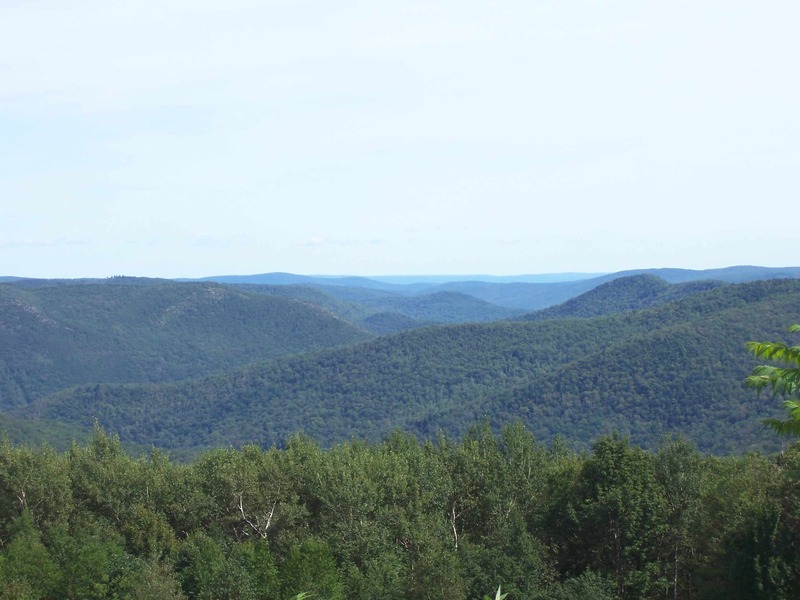 But by providing general direction to landowners that covers basic issues in every forest plan, the program will have gone 70% of the way toward guiding stewardship for an entire watershed. In the process, they will clarify how the interests of forest landowners align with the public interest, such as in the management of threatened and endangered species or erosion control. Individual landowners can then seek assistance for streamlined “subplans” to guide more detailed individual needs, such as harvest prescriptions. This program reminds me of the Massachusetts aggregated forest easement project that I described in an earlier post. Landscape Stewardship also aims to connect people to the public benefits of forest stewardship, creating a “community of interest” focused on local concerns ranging from water quality to fire hazards. “The plan is around the whole community,” Mike says, “and there’s a link between urban people, wh o see water coming from forest, and rural people, who own and manage forest. 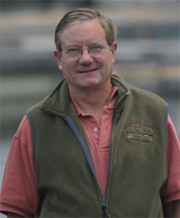 Perhaps just as important as the landowners who opt into a stewardship plan are those who opt out. The idea is that in the process of developing the plan, many more landowners will become educated and informed about issues affecting their land. “We want to encourage people to pick up the phone and call us or even just create more awareness among the large pool of silent, absentee, or largely recreational forest land owners. That’s the hope,” Mike adds. USFS Northeast Area with State partners initiated Landscape Stewardship through the Stewardship Project, and now it is becoming an accepted concept on the national scale. The Forest Stewardship Program’s new National Strategic Plan, which charts the direction of the program until the year 2020, encourages an emphasis on Landscape Stewardship planning and approaches. Now regions will be moving ahead rapidly with implementation. Several recently funded projects focus on innovative use of polling, media blitz campaigns, peer-to-peer learning, and other techniques to magnify the power of this process.